I love a classic vintage and feminine silhouette, so it is no surprise when my sponsor Motel asked me to choose a piece for this month I went for the Zee Zee Dress! This dress with a 50s inspired cut and a modern low back fits like a dream! 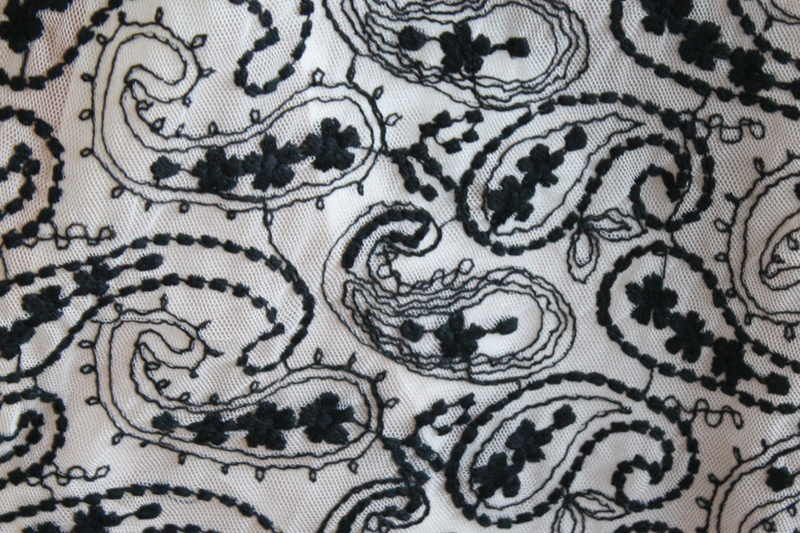 I also love the embroidered paisley patterned lace, the details are absolutely beautiful and delicate! It is only appropriate that I wore a vintage velvet headpiece to complete the look. Lastly, I want to apologize for the lack of post lately! Work gets in the way of photo-shooting and the fact that the sun is setting earlier does not help either! Not to mention I am also getting pickier when it comes to where I am taking my pictures! I will do my best to post more, I promise! 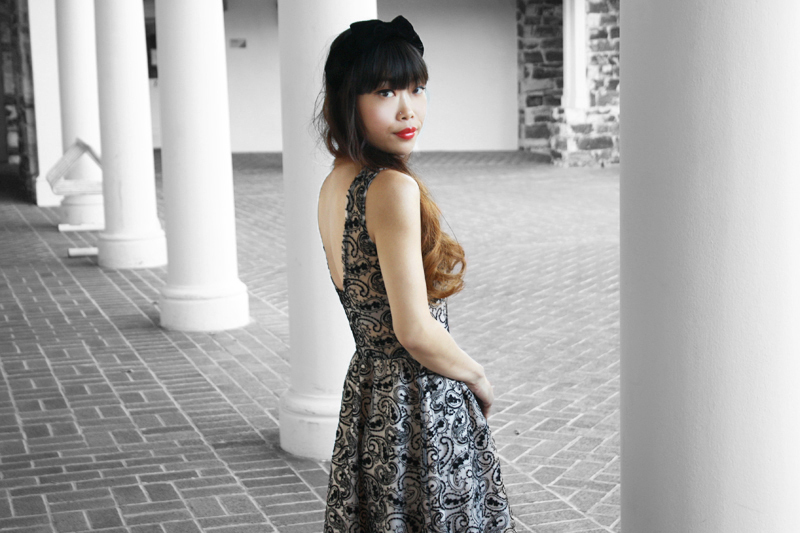 Zee Zee 50s Dress by Motel c/o Motel. Metallic clutch by Urban Expressions from my work Sway. 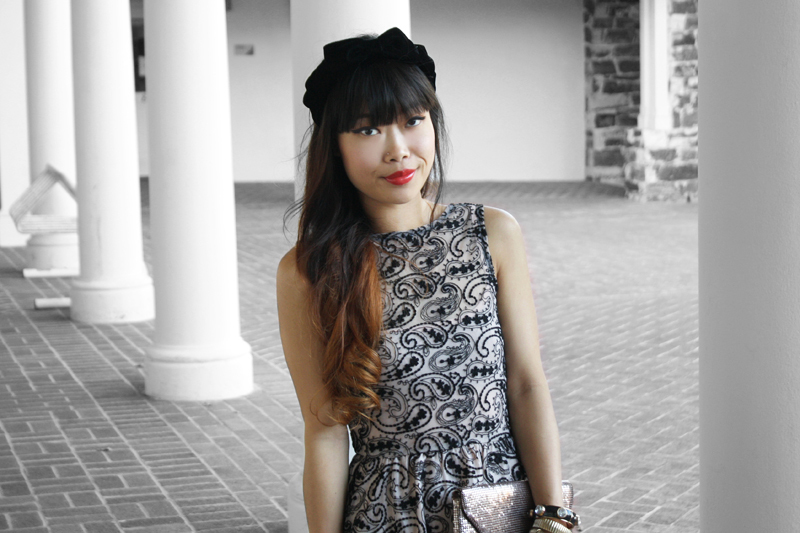 Vintage velvet headpiece from Etsy. Metal tipped flats from F21. This dress really is gorgeous! I love the classic, feminine silhouette. 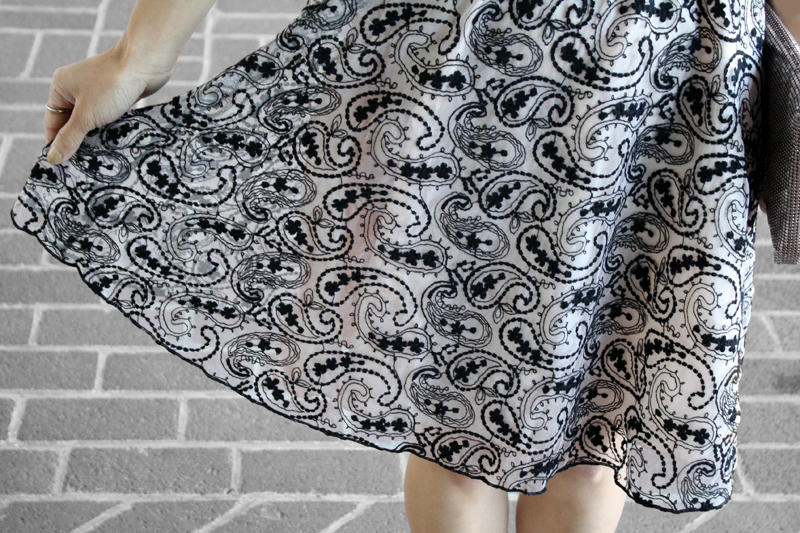 The lace is so pretty too. It looks wonderful on you! I'm really loving those cap toe flats too! That's one absolutely stunning dress indeed!